Because no light can get out, people can't see black holes. They are invisible. Space telescopes with special tools can help find black holes. The special tools can see how stars that are very close to black holes act differently than other stars. A black hole is found by its interaction with matter. A black hole can be inferred by tracking the movement of a group of stars that orbit a region in space. 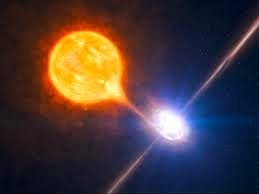 Alternatively, when gas falls into a black hole caused by a companion star or nebula, the gas spirals inward, heating to very high temperatures and emitting large amounts of radiation. This radiation can be detected from earthbound and Earth-orbiting telescopes. 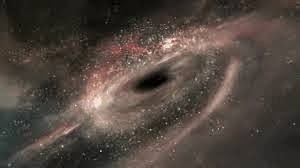 Since stellar black holes are small (only a few to a few tens of kilometers in diameter), and light that would allow us to see them cannot escape, a black hole floating alone in space would be hard, if not impossible, to see in the visual spectrum. 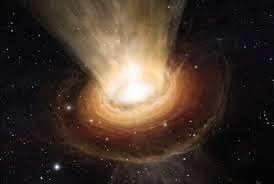 However, if a black hole passes through a cloud of interstellar matter, or is close to another "normal" star, the black hole can accrete matter into itself. As the matter falls or is pulled towards the black hole, it gains kinetic energy, heats up and is squeezed by tidal forces. The heating ionizes the atoms, and when the atoms reach a few million Kelvin, they emit X-rays. The X-rays are sent off into space before the matter crosses the Schwarzschild radius and crashes into thesingularity. Thus we can see this X-ray emission.